Guys, I have big news. Big news to me, at least. For the rest of you, I guess the weight of this news depends wholly on how much stock you put into the continued visibility of Frute Brute. 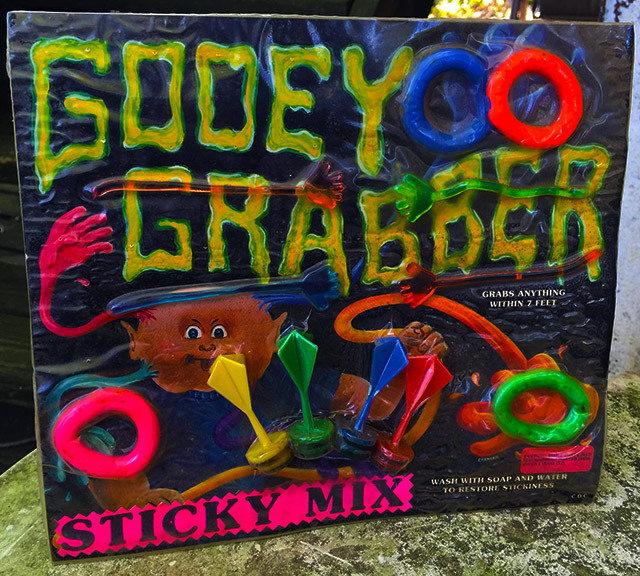 Monster Cereal fans know that the situation with this year’s Walmart-exclusive “mask boxes” was a bit messy. There were three distinct box styles released this year, including the previously-covered Target exclusives with those awesome cutout castle pieces. 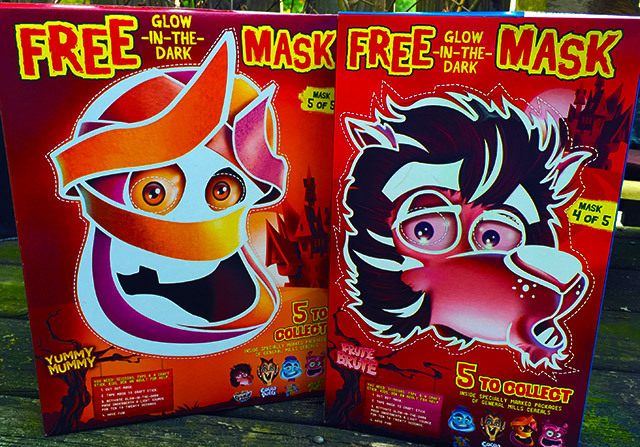 Walmart’s boxes were supposed to come with glow-in-the-dark masks. Earlier this month, many of us came to the sudden realization that nobody had posted proof of these reported “mask boxes.” Further digging showed that they did indeed exist, but only in Canada. Well, as it turned out, the masks were right under our noses for several weeks. 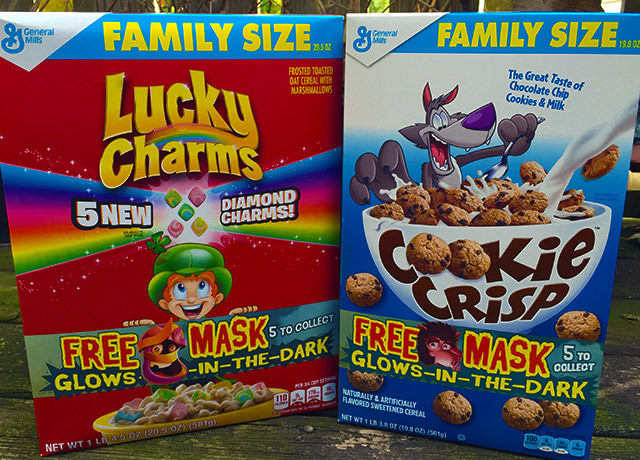 As told to me by Dan from Cerealously, it wasn’t the actual Monster Cereals getting the mask treatment, but rather random, unrelated General Mills cereals. A quick trip to Walmart confirmed this. Lo and behold, on the back of a family-sized box of Cocoa Puffs, there was the elusive Count Chocula mask. General Mills had delivered on their promise, and if they were guilty of anything, it was just being oblique. Okay, so you can find the Count Chocula mask on boxes of Cocoa Puffs. If you want to dress like Franken Berry, consult Reese’s Puffs. Boo Berry fans will need to plow through an enormous box of Cinnamon Toast Crunch. All well and good. But the big surprise was the return of FRUTE BRUTE and FRUITY YUMMY MUMMY, in mask form! What?! A FRUITY YUMMY MUMMY MASK ON THE BACK OF LUCKY CHARMS?! In 2013, General Mills shocked the world by resurrecting both of the long-discontinued Monster Cereals. By 2014, they went “back in the vault,” with no guarantees made that we’d ever see them again. Guys, I’m scared. There’s only one week left in the Halloween season! No matter how much I do, it never feels like enough. I keep waiting for the presidential mandate that moves Halloween to November 10th. 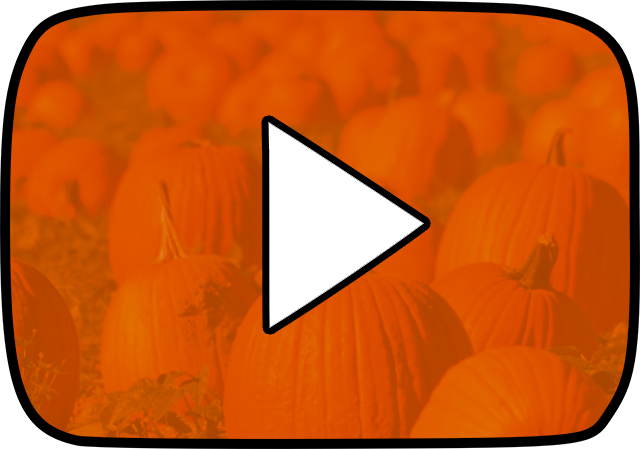 Today’s episode is all about our Halloween & horror-related GUILTY PLEASURES. Stuff we love, even if we know it’s not necessarily good for us… or even just objectively good. Stream the episode by clicking the giant play button below! If you’d prefer to listen on the usual streaming player, click here. You can also download the MP3 directly at this link. As a reminder, we’re also on iTunes and Stitcher!